If you are using Zoom Chrome Extension, it will overwrite the Where and Video with Zoom. 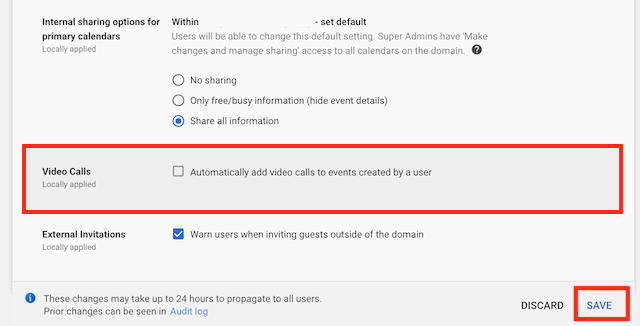 However, on your Google Calendar reminder, a Google Hangout link will still appear be automatically added to Google Calendar events. This setting can be disabled for GSuite by an admin. Users will still be able to add or remove Hangouts video call links from events, but will not be able to set their own defaults. Login to Google Admin and navigate to your Calendar - Sharing Settings. Your Calendar - Sharing Settings can be found under Apps > GSuite > Calendar > Sharing Settings. Uncheck the option for Video Calls.